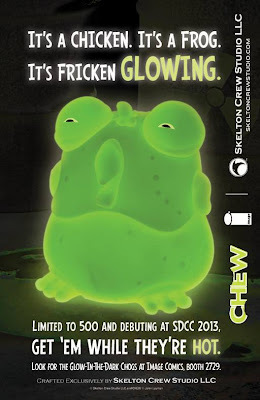 Angry Koala Gear: SDCC 2013: Chew Exclusives Including Glow in the Dark Chogs and More! SDCC 2013: Chew Exclusives Including Glow in the Dark Chogs and More! San Diego Comic Con is just two weeks away! The exclusives continue to roll in and we are getting more excited as we hear the news of what has been created for SDCC. 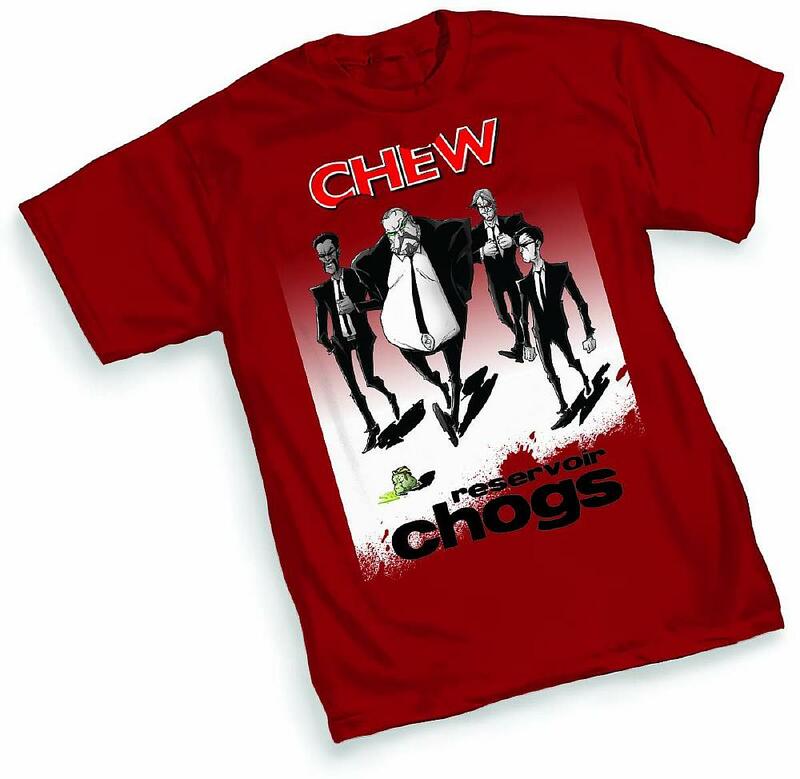 One of our favorite comic series Chew from Image Comics will have a great presence of exclusives. 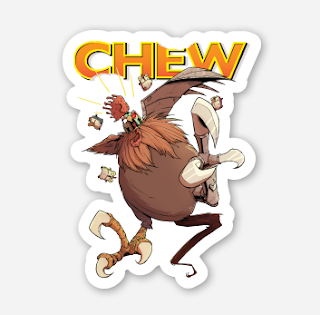 Thanks to the creators of Chew, John Layman and Rob Guillory will be at SDCC all weekend and they are bringing amazing goods. The first exclusive is a Chew #35 Variant Cover featuring a parody of Quentin Tarantino's Kill Bill. 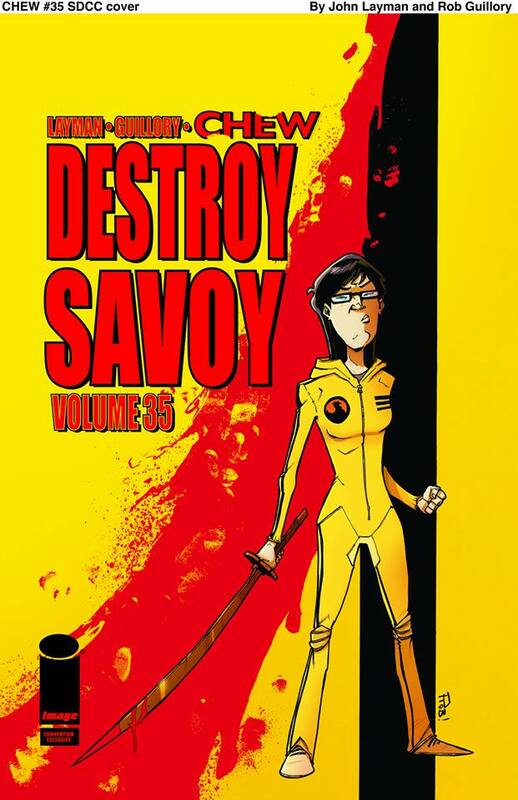 This is actually the third parody cover of three amazing Tarantino films and it was created by Rob Guillory. The SDCC Exclusive Chew #35 "Kill Bill" Variant Cover will have two enhancements, a red foil logo and blood on sword and an according to Layman "fifth color burn your eyes yellow" on Olive's jumpsuit. The comic is limited to 1000. The second exclusive comes from Skelton Crew Studio and the Chogs will be invading SDCC! 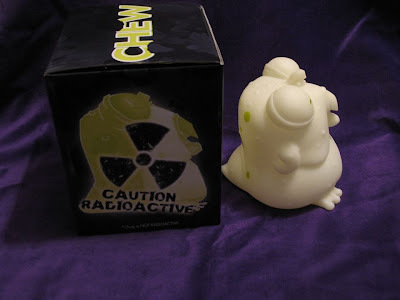 Skelton Crew Studio, John Layman, and Rob Guillory have teamed up to create their second Chog, but this time it will Glow in the Dark. 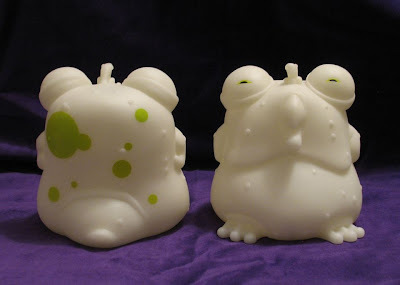 The GITD Chogs will be limited to only 500 pieces. They will be available at Image Comics booth #2729. The third exclusive will not necessarily be an exclusive, but actually the debut of a new Chew shirt featuring the cover to Chew #13 Reservoir Chogs, which happens to be a Tarantino parody cover to Reservoir Dog. The shirt will be available at Graphitti Designs booth. The last exclusives are actually an experiment. There will be Poyo stickers and Chog stickers! We will try to get better updates on the prices of everything as it becomes available. 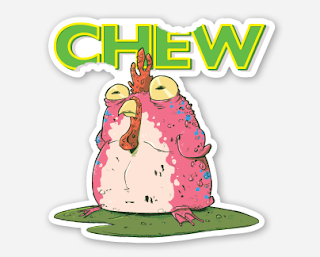 Really excited about the SDCC Chew exclusives. Stay tuned for the Chew news!